Zimbabwe Achievers Awards (ZAA) South Africa will honour Dr Oliver Mtukudzi with an honorary patronage for his contribution to music, film, and the arts industry, as well as for decades of philanthropic work, at this year's awards ceremony scheduled for 7 April in Sandton, Johannesburg. ZAA Chairman Conrad Mwanza hailed the legendary musician as a cultural icon who has served his nation with remarkable distinction. "We are proud to honour Tuku for his outstanding contribution to the music and entertainment industry," said Mwanza. "He has been an active and industrious member of various charitable organisations over the years. His worldwide involvement with UNICEF as a Goodwill ambassador for the Southern African region has been both influential and inspirational in shaping our African continent," he added. Tuku's artistic genius has been critically acclaimed by experts and fans across the globe. His brand of music has become an iconic sound, and has also challenged Zimbabweans to rethink certain prejudices and preconceptions of the African culture. As one of Zimbabwe's most renowned and recognised voices to emerge from the country onto the international scene, and with over 65 albums to date, he has a devoted following across Africa and Europe. The multi-talented artist, whose talent knows no bounds has also distinguished himself as an actor on the big screen, with admirable performances that include critically acclaimed documentaries and feature films such as Jit and Neria. Famous for his soulful husky voice and acoustic guitar, he was named the 10th most bankable artist by Forbes Africa in 2017. 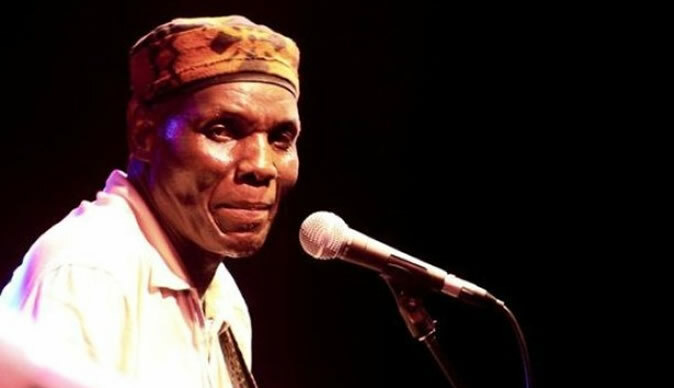 Meanwhile, Tuku, who is due to arrive in London early next week ahead of the annual Southern African Music and Arts (SAMA) Festival, taking place over the Easter holiday, will once again headline the two day fiesta. The shows that are lined up, are taking place in London and Coventry, and will also feature popular acts that include Winky D, Sam Dondo and South Africa's celebrated music duo, Mafikizolo. Elsewhere, preparations for the awards are underway and the ceremony, which is two weeks away, includes a three course dinner. This year, it is being held at the Hilton hotel. Set amongst landscaped gardens and suburban surroundings, the venue is located just north of Johannesburg in the city's business district. Tickets are also on sale, and the comprehensive three-tier ticket campaign, introduced last year, has been implemented once again in response to positive feedback received about the special offer on tickets last year. They are being sold exclusively for R650.